Covercraft of Europe has been established in the UK since 1990. 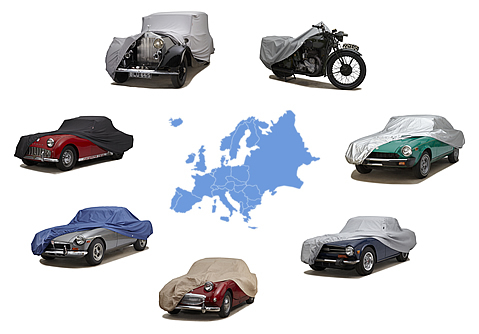 Since then we have been providing quality protective covers for classic and modern vehicles. The covers are made for original equipment manufacturers, dealer networks and retail customers. Over the years we have built up good relationships with many clients. These are important relationships to us, demonstrating our ability to continuously supply premium products and service. We offer a wide range of tailor-made covers for a variety of applications, for vehicle protection - not just to cover a car.